I love winter in New York City. The crisp air. The glittering lights in the trees. The excuse to bundle up in cute boots and cozy coats. It really is a magical time of year, although I admit that the cold does get to me. As much as I love to spend a day out and about in the city shopping and ice skating with friends, it usually isn't long before I find myself craving a crackling fire and a mug of something warm and cozy. 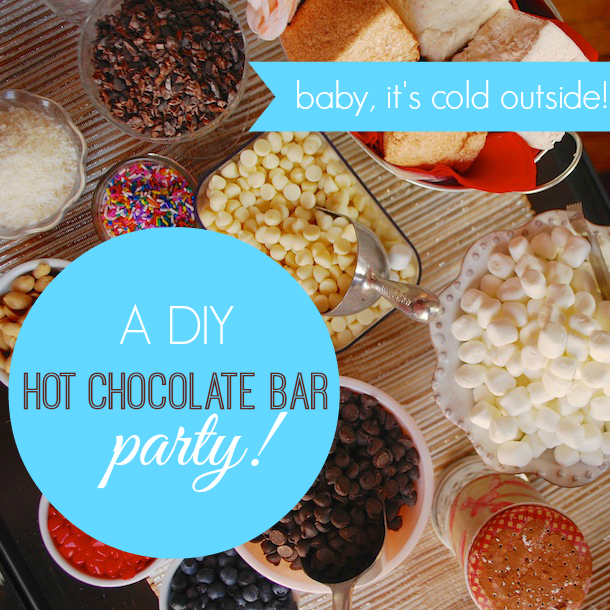 And while there are plenty of restaurants where I could do just that, I much rather use it as an excuse to invite a few friends over and host a casual and cozy DIY Hot Chocolate Bar Party at home. The first day of winter is just a few days away, and it's the perfect time to invite over a few friends and toast the start of this cozy season. 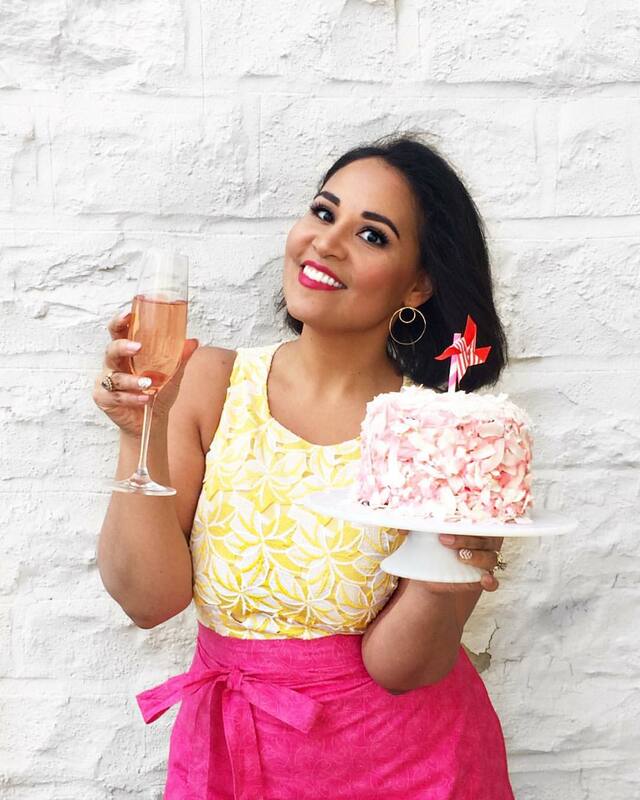 As part of my ongoing entertaining series with Smirnoff, I thought I'd share a few of my tips and ideas for hosting a low-key winter hot chocolate bar party. (And I really do mean simple!) 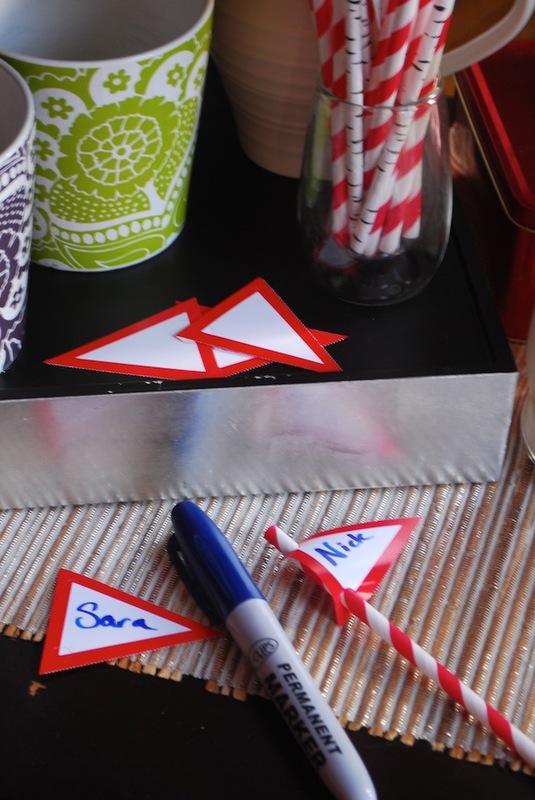 Fancy signs and matchy-matchy labels are super cute for weddings or bridal showers, but I prefer something a little more casual that everyone can do. No need to spend days planning. Just follow the easy tips below, and you and your friends will be toasting in no time! I start setting up my bar by gathering all my favorite mugs. They don't have to match. In fact, I think it's better when they don't! Big ones. Small ones. Put out enough for everyone, plus a few extra in case people want seconds (or thirds!). 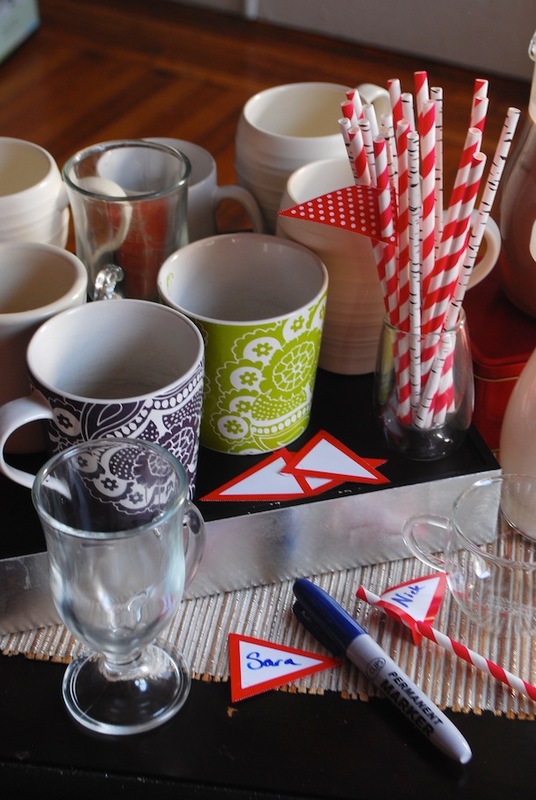 It's not necessary, but I added little drink flags and a marker so that your guests can identify their mugs. 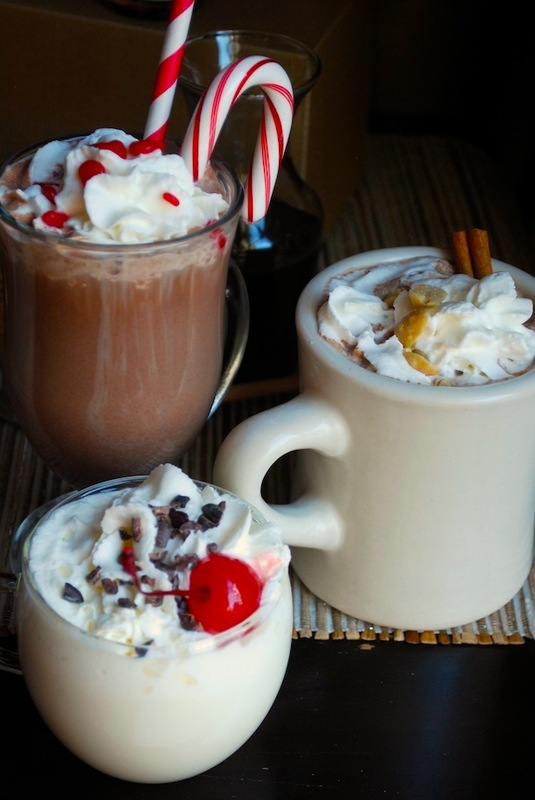 You can even turn it into a contest later and have people vote on the most creative hot chocolate concoction! Since the point of the bar is for guests to personalize the flavors, I suggest keeping it very simple with basic flavors that guests can doctor up to their liking. I prepared everything on the bar in advance, and kept the hot chocolate and other perishables in the fridge until my guests arrived. Once it was party time, I quickly warmed the chocolates up on the stove and poured into insulated carafes for serving. You can also use a slow cooker or a coffee dispenser to keep everything nice and warm throughout the party. How to make hot chocolate even better? Add a little vodka! 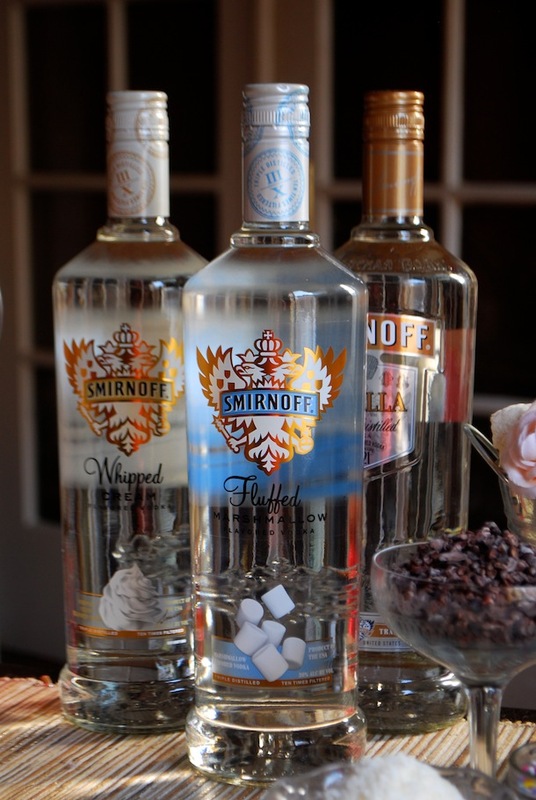 I love Smirnoff's confections line of flavored vodkas. My favorite is Smirnoff Whipped Cream Flavored Vodka, which tastes like creamy vanilla whipped cream and is amazing with both dark and white hot chocolate. I recommend putting out a few different flavors as part of your hot chocolate bar, so that guests can mix and match their favorites. As a guideline, guests should start by adding 1 to 1 ½ ounces of vodka per mug—I suggest leaving out a couple little measuring cups for easy reference—then follow with their favorite hot chocolate.